We will run the first “Trees For Peace Petition” in the coming month. One of the most depressing sights in Southeast Asia are the palm oil plantations. Rain forest is cut down and the animals who lived there are kicked out/killed. The reason: we want to have “trans-fat-free cookies”. Palm oil plantation area in Indonesia. This is killing the eco-systems of South East Asia in many ways: lots of species die out (biodiversity loss) due to monoculture, water cycle is disrupted and the soil is getting depleted. Not to speak of the pesticide poisons used. Let’s help to reduce our contribution to this stupidity by petitioning the cookie makers (and other food production companies) to stop using this product, or switch to ecologically grown oils. Stop the Palm Oil Tragedy - Make better cookies! As you know, the products you sell contain palm oil. Palm oil plantations are killing the rain forests. Beautiful abundant rain forests are cut down to give place to Palm Oil monocultures. Orangutangs, tigers, rhinos and thousands of other species are kicked out of their homes and die. This petition is to stop using irresponsible palm oil in food. A small amount of all palm oil is produced in ecologically acceptable plantations, (Certified Sustainable Palm Oil, WWF - http://www.wwf.org.au/our_work/saving_the_natural_world/forests/palm_oil/what_wwf_is_doing/certified_sustainable_palm_oil/). 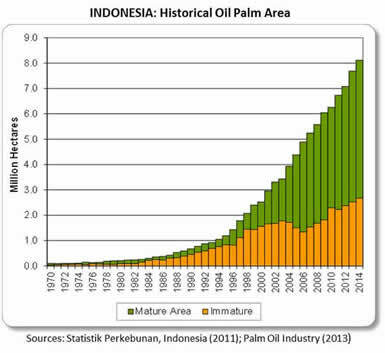 Please stop using palm oil, or switch to certified sustainable palm oil!